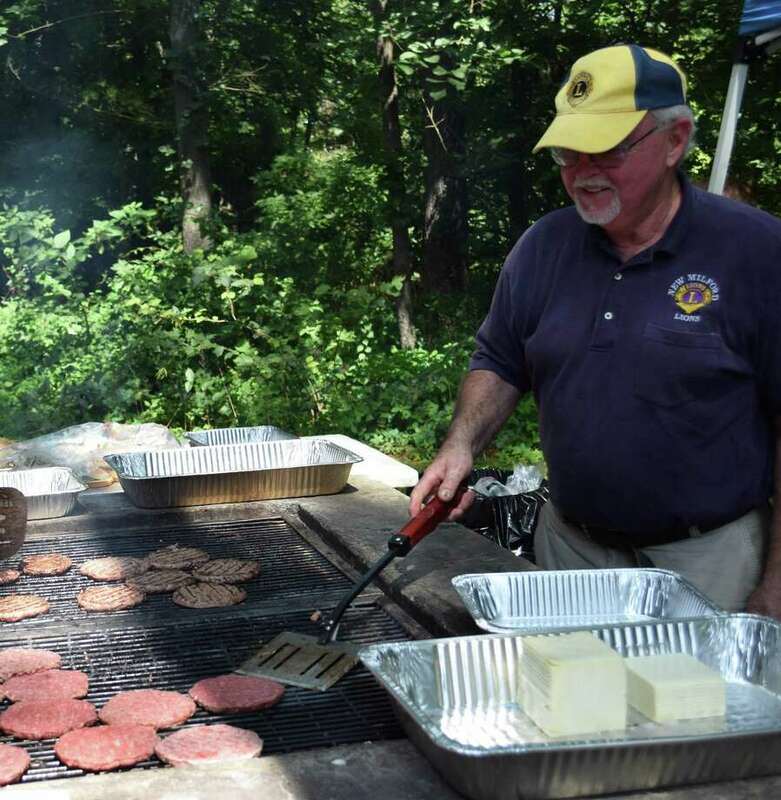 New Milford Lions Club president Jim Bannan oversees the grill as he and other Lions serve traditional picnic fare to local seniors. The New Milford Lions Club recently hosted its annual senior picnic at Harrybrooke Park & Harden House Museum in town. The event, which took place under the Conn Pavilion at the park, featured picnic fare such as hamburgers, hot dogs and side dishes, as well as musical entertainment and bingo. Nearly 90 people attended the event, the largest number in recent years. For more photographs, visit newmilfordspectrum.com.